In this lesson we’re going to start by focusing on some of the simplest actions you can apply for immediate results. 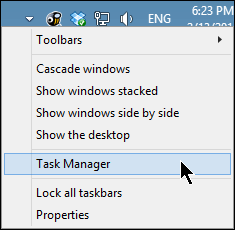 These actions require no previous training or knowledge and, in fact, as a Windows user, you should or may already be familiar with many of these. 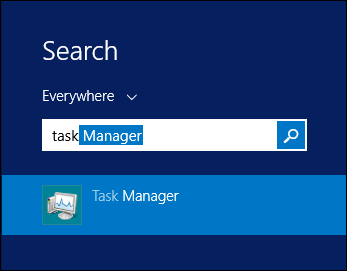 In the first section, we’ll delve into cleaning up your system including routing out all those pesky startup items, removing temporary files, and uninstalling old, unused applications. From there, we move on to disk maintenance. 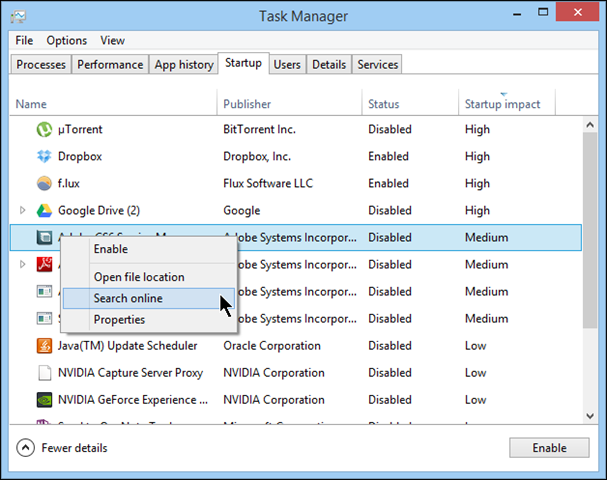 This task has gotten considerably easier in recent Windows versions but understanding your options is still important. Finally, as we mentioned earlier, there’s dusting, as in literal removal of hair and dirt from your computer’s interior. We want to stress how much more effective a computer is at dissipating heat and cooling its internal components when they’re not coated in a thick coat of fur. It’s safe to say that in any event, you can disable most, if not all startup items and it will not adversely affect your system. That said, as we mentioned earlier, if you do disable everything, you may lose functionality that you otherwise wanted. 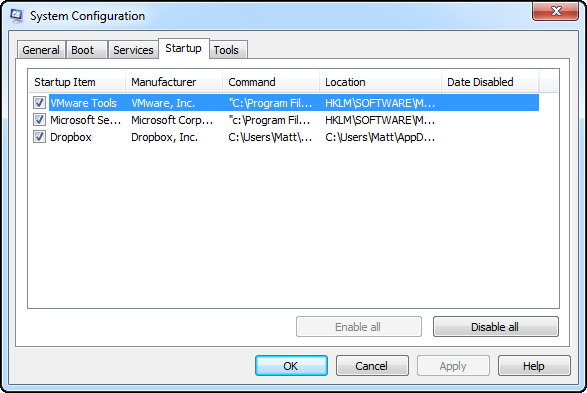 In the above case, if we disabled “Dropbox” it would no longer start automatically and sync changes. 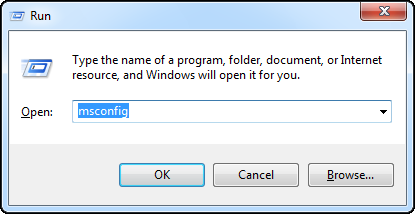 We’d instead have to manually start it, so we might as well leave it enabled. 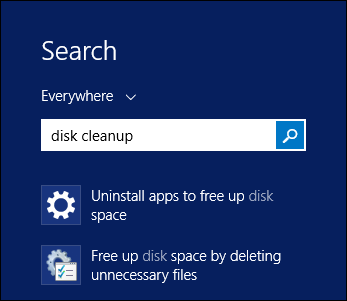 When “Disk Cleanup” begins, if you have more than one drive installed, you will need to choose the one you want to cleanup first. 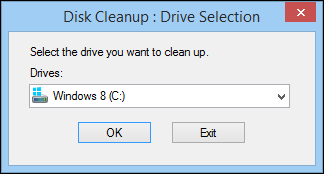 Here in our example, we choose the system drive (C:). 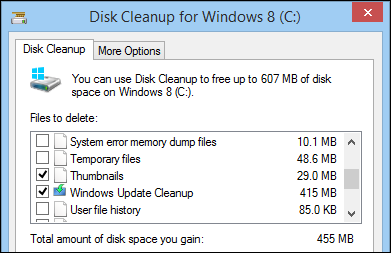 Note here in the following screenshot, we’ve restarted in administrative cleanup mode and “Disk Cleanup” has found another 500 MB of space it can free up (Windows Update files). This will give us 455 MB versus 90 MB in non-admin mode. Note also, in admin mode you gain another tab named “More Options,” which gives us further ways to free up valuable disk space. 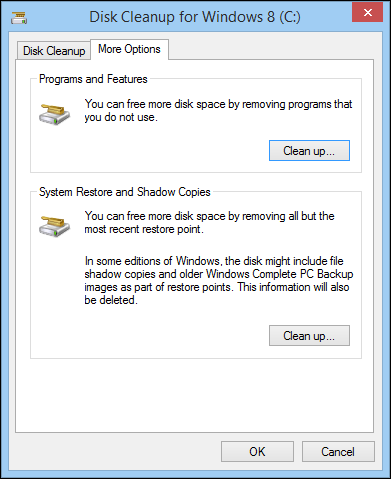 Of particular note here is the “System Restore and Shadow Copies” option, which deletes all but the most recent “system restore” points. 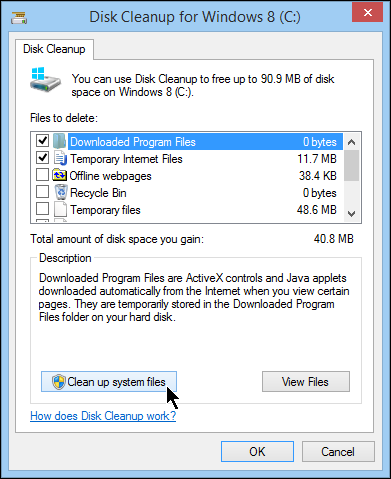 If you’ve been using your computer for a while and you’ve never cleaned out your restore points, this option can sometimes free up gigabytes of space without adversely affecting your computer – assuming everything is running smoothly at the moment so you don’t need to roll back any recent changes. 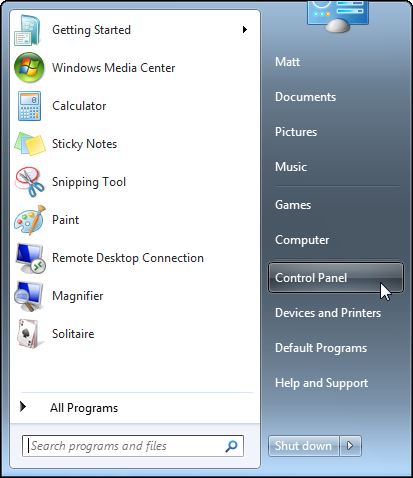 Note also, the “Programs and Features” clean up button. 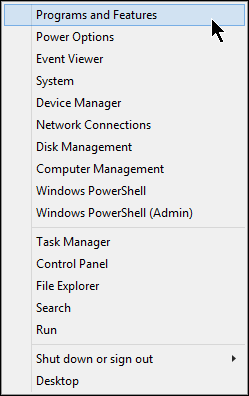 If you click this, it will open the “Programs and Features” control panel, which will let you uninstall unnecessary and unused applications, which we’re going to now talk about in the next section. In the above example, we see that from the previous section that Google Drive has a high impact on startup, and since we use Dropbox as our primary cloud service, we can just remove Drive and use it when we need to through the web interface.